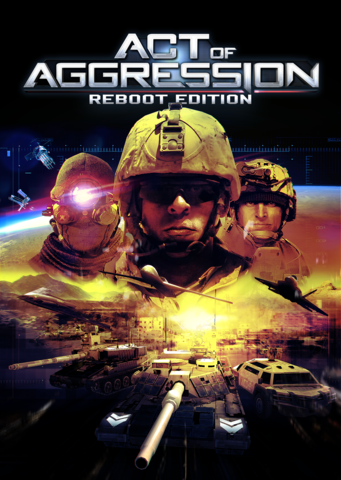 Re: ANNOUNCING “ACT OF AGGRESSION: REBOOT EDITION”! Glad you're sticking to your guns! Support this 100% of the way! Good to finally see your current project. The silence was getting worrisome. First piece of feedback: Don't call it "reboot edition"
Even if you can't think of something original and cool, any of the usual cliches (reloaded, rearmed, directors cut, special edition, 2.0, vengeance, redemption...) would still be better. "Reboot edition" sounds like a someone making a joke about a game that blue-screens all the time. Are there still bank robberies? My YouTube Channel is Raven Wargaming. Message me to request videos on certain topics. Everything on the list is awesome, and I am curious about that many more part. Personally I don't care but lots of people did, is singleplayer/campaign part getting any improvements? Just don't keep us in the dark for weeks/months again. Releasing little data/screenshots every week to keep the hype and interest up should not be that hard. It takes one person 30-60 minutes per week to do and shuts up all the people like me (and those that think the same but are not posting it on forums). One question, will the singleplayer part be reworked with all the changes or will this reboot edition only be for multiplayer? Selkares wrote: One question, will the singleplayer part be reworked with all the changes or will this reboot edition only be for multiplayer? We would have had to remake the solo campaign almost from scratch due to the game mechanics overhaul. Therefore, solo campaign will be disabled in the Reboot Edition. Is there going to be a beta for this reboot edition?